ARE YOU LOOKING FOR A CUSTOM METAL KICK PLATE? PURCHASE PRE-CONFIGURED DOOR KICK PLATES TODAY! our 4 step process to order your custom cut kick plate today! WHY DO YOU NEED TO CUSTOMIZE YOUR METAL KICK PLATE? Individual cut outs specified to your door. Get your kick plate in one piece, designed how you like. Fits exactly to your doors specifications. A metal kick plate can be a great finishing touch to a door, while protecting the door itself. 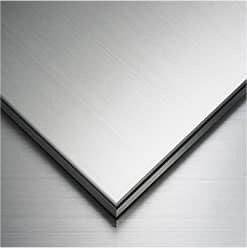 Metal kick plates are easy to clean and can look very impressive. 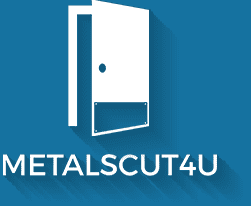 MetalsCut4U helps customers to order a metal kick plates for their doors that are cut to the exact size and shape that is needed to perfectly fit the door. A problem many people run into is they order a kick plate that is not truly specified to their needs and end up with a product they are not happy with. We even added the option for you to specify and position the holes you may need to attach the kick plate to your door. Watch this short tutorial to add the circular cutout(s) you need for your customized metal kick plate.